Premier Roofing, serving Orlando and central Florida, is your trustworthy partner for quality tile roofing and metal roofing projects. The quality of your roof is crucial for the level of comfort you enjoy in your own home, so make sure you are picking the right contractors. Investing in high quality roofing protects your home from rain and wind damage and increases its market value. Both tile and metal roofing products offer lasting value and beauty. To avoid costly and extremely annoying problems, such as leaking roofs or roofs that are easily damaged by wind and storms, you should invest in high quality materials, such as tile roofs. Tile roofs, whether it’s clay tiles, concrete tiles, slate tiles or shingles, are high end residential roofing solutions that have a lot of advantages: durability, low maintenance costs, easy to repair, aesthetically pleasing look. Tile roofs offer great value for your financial investment because they increase the market value of your property. Premier Roofing manages roofing projects in Orlando and central Florida, and provides a whole range of tile roofing solutions for your home, treating every project and every client with dedication and professionalism. Roof repairs are not fun, especially when you have to replace large surfaces of the roof because of a single hole. With tiles, this problem simply doesn’t exist: repairing means replacing only the broken tiles, saving time and money. Tiles are perfect for any type of climate and weather. The size of the tiles and the way they are interlocking makes them very efficient and resistant to strong winds or heavy rains. Also, when it comes to insulating the house from the sun, tile roofing has better efficiency than other types of roofing. Metal roofs are long lasting and today offer many choices in styles and colors. Your metal roof will be strong in the central Florida winds, and also cost efficient for the hot summer days. Metal roofing is also environmentally conscious. You can apply metal roofing over existing roofing in many cases. Homeowners looking for better roofing solutions have to consider several aspects before deciding on a certain type of roof and picking a contractor for the job. Tiles and metal roofing materials are some of the best solutions you can find, since they are durable and bring a touch of classic beauty and style to your high end residential home. However, not all contractors are experienced in installing high end residential roofing such as tile roofs and metal roofs. When it comes to installing a new roof or repairing the one you already have, it’s important to pick experienced contractors, recommended by their work. Premier Roofing takes pride in every project. This professional and reputable roofing contractor has numerous high end residential roofing projects already completed in the Orlando and central Florida area, and comes with only the best reviews. Premier Roofing relies on a combination of high quality materials and master craftsmanship for every project that will guarantee satisfaction each and every time. 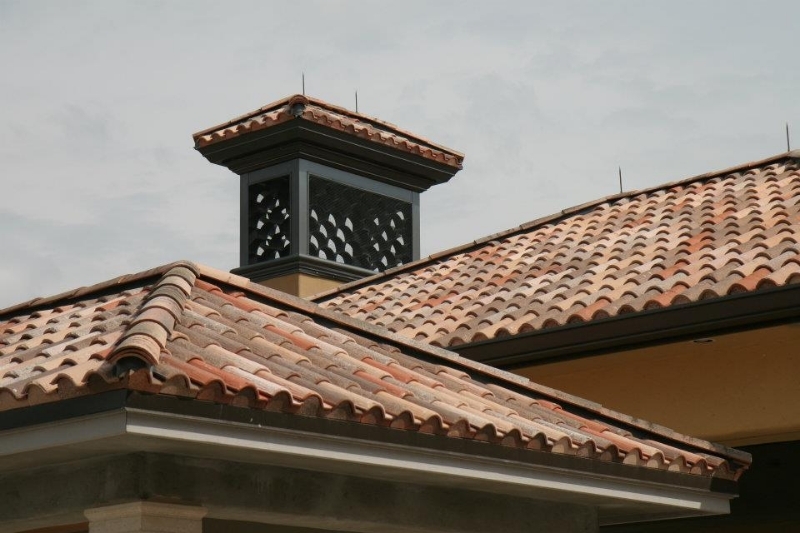 Tile roofs are a great choice for your central Florida high end residential roofing. If you are ready to upgrade your home and want results to last a lifetime, call Premier Roofing in Orlando Florida today and ask about tile roofs!